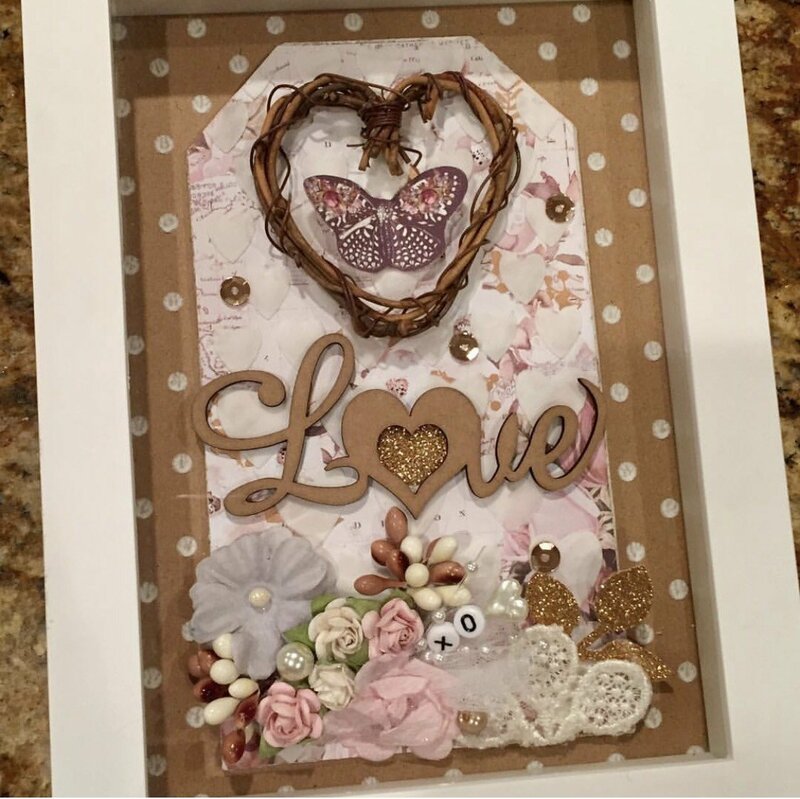 This is a fun class that will teach you how to make interchangeable tags for each season in a shadow box type frame. There will be 3 different tags for the upcoming holidays/seasons. You will receive a 5X7 white frame and all the supplies to make three holiday tag inserts foe example: Halloween, Fall/Thanksgiving and Christmas. Please bring your basic tool kit including a hot glue gun.